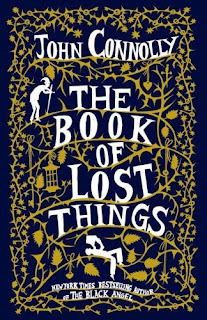 John Connolly released only his 2nd book not related to his franchise character, Charlie Parker, with “The Book Of Lost Things”. Connolly’s story begins during World War II, where the main character, David, has moved to the childhood home of his new stepmother to escape the possibility of a German occupation in London. David’s mother had passed away a few years earlier due to a terminal disease and he had never really found a way to cope with it, shouldering most of the blame and rejecting his father’s new wife because of it. His inability to cope have resulted in David taking frequent panic attacks and passing out for extended periods of time. His parents begin to worry when David claims that the books in his bedroom have begun to talk to him, whispering to him from time to time. One evening, after an argument with his step mother, David wanders out to his backyard claiming he’s hearing calls for help from his mother. He crawls through a space in the fence somehow transporting him into a world similar to his favorite fairy tales. Now, I know this sounds pretty childish but it really isn’t. 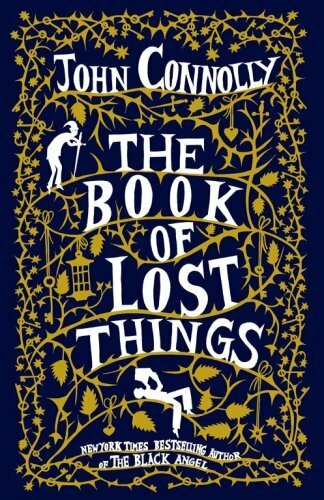 “The Book Of Lost Things” can at times be extremely violent as Connolly seems to enjoy twisting and taking apart various fairy tales. Snow White, for example, never meets her prince. Instead, she over-eats and forces the seven dwarfs into slave labor for the rest of their lives to support her. This leaves the dwarfs constantly trying to find a way to kill her in order to be free. Connolly puts his own spin on several other classic tales coming away with something fresh and memorable. He develops a great antagonist with the book’s main villain, “The Crooked Man”. In the end, he is an extremely desperate and vengeful character who is fully realized and spiteful. In fact, his speech to David near the book’s conclusion is something to watch for. Quite possibly one of my favorite literary villains to date. This was the first Connolly book I’d read and after reading almost everything else he has to offer, it remains near the top of my favorites. I’d recommend it to just about anyone. The Sun Also Rises and the book is also boring.